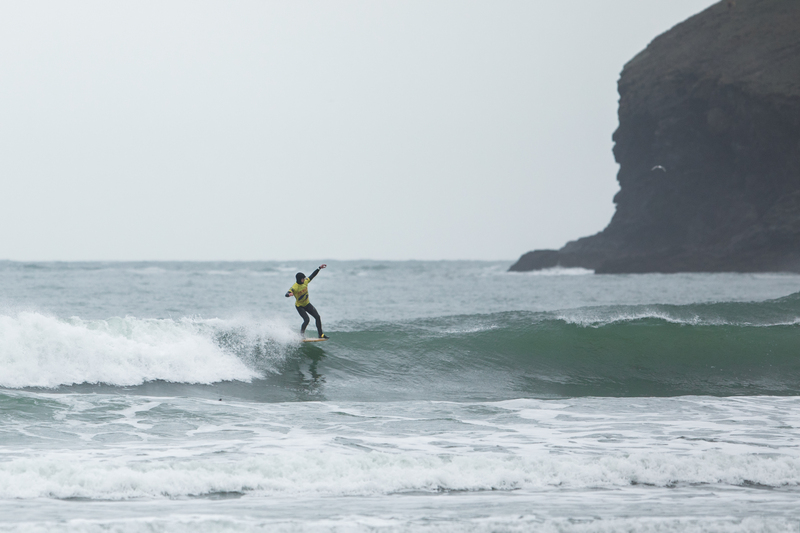 The Jesus Longboard classic has for many years been a significant event in the UK longboard surfing calendar, but unfortunately due to too much surf, or lack of surf, the 2018 event had to be postponed twice. The team however decided that there was a real enthusiasm to hold it early in the New Year to kick-off the competition season for the longboard community hence the new date of 23 – 24 March 2019. 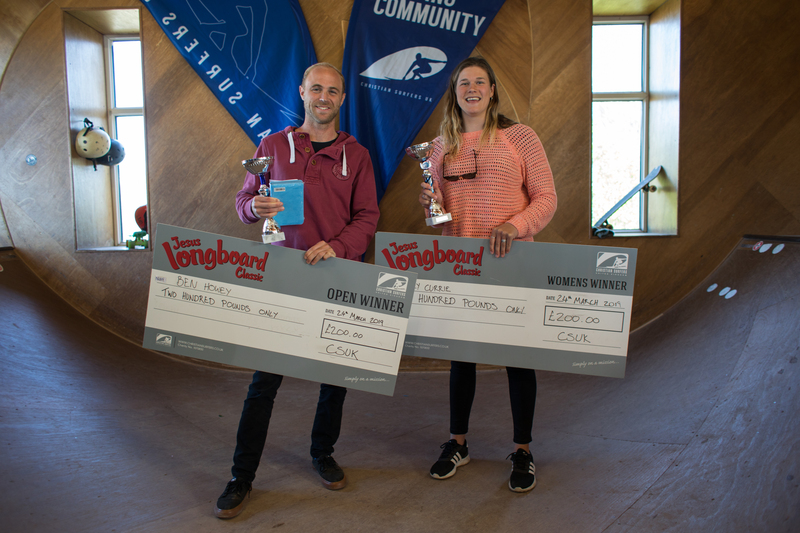 Everybody involved had a really fun weekend and with around 80 entries entered in six categories, it was a busy one for the organisers Christian Surfers UK and their host partners Tubestation in Polzeath. 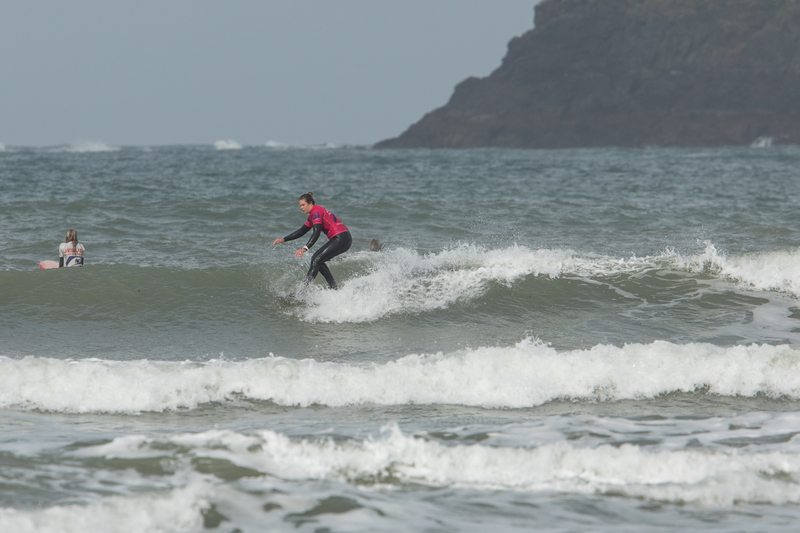 The event is part of the Jesus Surf series which Christian Surfers UK have been running for 27 years, a way of serving the surfing community, and due to its popularity split the two contests in order to provide a focus and additional capacity which has proved extremely popular with all concerned. Saturday morning dawned with 3ft waves, breakfast and hospitality for all involved at Tubestation and by around 9am heats got underway and carried through till 5:20pm. Surfing on day one was always a mix of those who take it pretty seriously and those who perhaps have entered the event for the first time as they have heard how welcoming everybody is. After around 20 heats on the first day, semi-finals draw had all been set up for Sunday with the open men and women already through to the finals. One of the highlights being the semi-final in the men’s with Ben Howey and Elliot Dudley going head-to-head both scoring over 16pts and on this occasion Elliott Dudley just pipped Ben but all was set for a great final day. Wales Colin Bright appearing in three finals including the legends division (Over 60’s) beating brother Gwyn and the rest of the Welsh contingent. Arthur Randell taking out the U18’s division and very generously donating his Indo board 1st prize to the Tubestation for their future use, top bloke. Fantastic surfing in both the 35+ (Masters) and 50+ (Grandmasters) with Sam Bleakley taking the younger title, and Mark Goodright the senior title. Both the men’s and women’s finals were really exciting affairs with Emily Currie beating Beth Leighfield to retain her title from the previous event, and in a very very close tussle Ben Howey just pipped James Parry to the championship by 0.1 point, retaining his title! This event could not be run without some great partners and sponsors and this year they included Nineplus, Finisterre, Old guys rule, Bird sunglasses, and Indo board from a sponsor point of view, and a huge thanks to Era adventures for water cover, Beagle media for the video edit that will be with us soon, BLU and Hotdoggers for ongoing support and photographer Andy Holter. Final thanks of course go to the amazing staff at Tubestation and all the volunteers from Christian Surfers UK who give their time freely for the weekend, and God for providing waves and indeed sunshine on finals day.